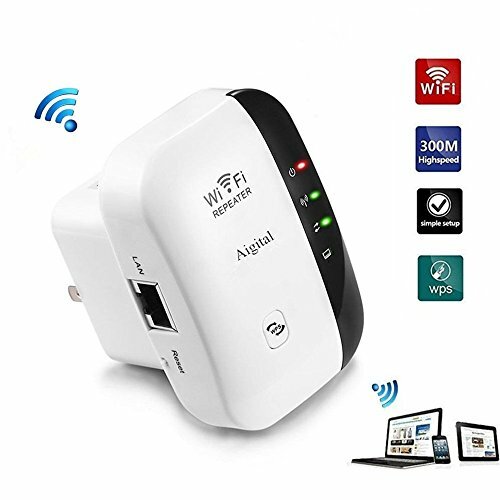 Signal Booster: Boost our existing wifi by buiding up a new strong reliable network to hard to reach areas with transfer speed max 300Mbps. Two Modes: Repeater mode for stronger wireless performance and coverage and AP mode which creates a new WiFi access point. Painless Setup: Can be simply setup on your phone/iphone/tablet/laptop/PC within minutes. WPS button for a safe connection. Friendly Design: Convenient US wall plug design and portable mini size. Work with any standard router, modem and access point. Support WEP, WPA, WPA2, WPA/WPA2 encryption methods to prevent from unauthorized access and monitoring. If you have any questions about this product by Aivake, contact us by completing and submitting the form below. If you are looking for a specif part number, please include it with your message.